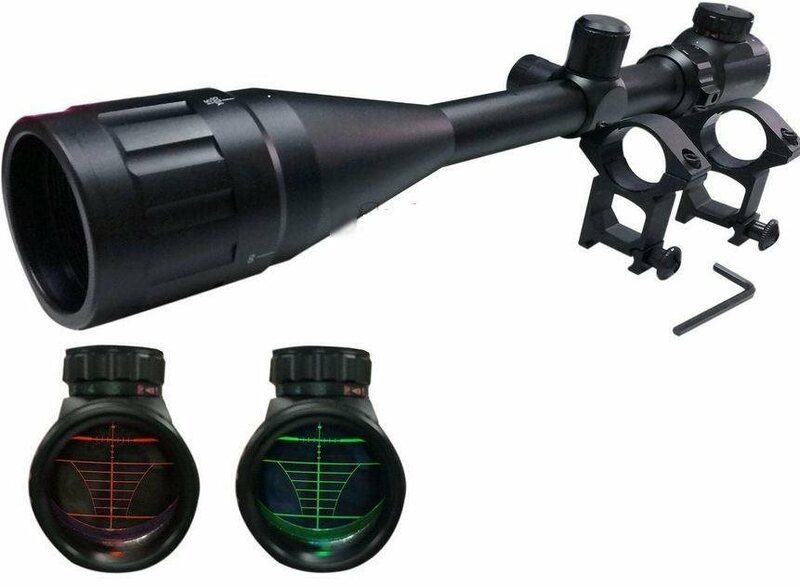 This tactical rifle scope is well suited for mid to long range shooting, with high optical clarity at 6-24x magnification and a 1.96" objective diameter. The reticle can be illuminated in red or green in multiple brightness intensities, for a suitable sight regardless of lighting or environment. Completely control every aspect of your scope including windage, elevation, and focus to make the best of the wide field of view. The scope includes a fully coated lens to reduce glare and is inert gas purged to be fog, weather, shock, and recoil proof. Two high profile scope mounts included for secure attachment to all Picatinny or Weaver rails. Its durable all metal construction ensures its use for years to come.